The daughter of one-third of ‘80s synth-pop outfit a-ha and featured on Alan Walker’s recent hit single, Darkside, Tomine Harket could easily write her biography just by name dropping. 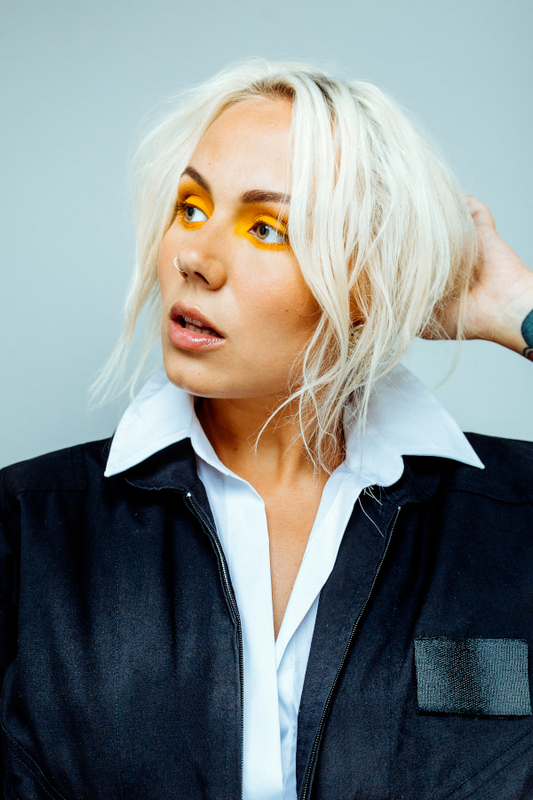 But as someone who grew up exceptionally aware of people’s keenness to judge you through a lens of the fame of people close to you, the Norwegian singer does no such thing. She is her own woman, and all she wants is to be real. Prior to working with Unge Ferrari, Harket had been busy with all sorts: acting on stage in musicals, doing voice-over work for Disney films and other animated cartoons (“it’s more dramatic and you have to over-act because people can’t see you; it’s so much fun,” she enthuses), taking part in television competitions, and releasing her own material. As such, going solo again was a natural thing to do. “I’ve always been writing away on my own stuff, but I don’t like releasing different material all at the same time; I need to be able to breathe,” she says. Though she would fit the bill perfectly alongside other new, glowing Norwegian pop stars such as Astrid S and Sigrid, Harket is by no means an inexperienced newbie – and there is a grounded, mature streak to her music and demeanour that is less prevalent on the tracks of her peers. That integrity of hers and the insistence on being real are present in everything she talks about, including her appearance on the recent hit single Darkside with Alan Walker. “My stepdad was one of the writers on the track, and he asked if I wanted to try it out. I was a little conflicted at first – I really liked it, but it’s so extremely different from what I usually do. I wasn’t sure if doing this was allowed?” she explains. “But it’s his song, and I’m renting my voice to it. With every project I do, I’ve learnt something new, and it would’ve been stupid of me to say no to this.” Indeed, Darkside has had over 35 million streams on Spotify alone at the time of writing, and Harket describes the shock when watching the number rise rapidly by the second upon its release. “It was insane! Here in Norway, you’re kind of used to being happy when you see it going up by a bit every week…” she laughs. Breathing Better is out now and available on Spotify and other streaming and download services.